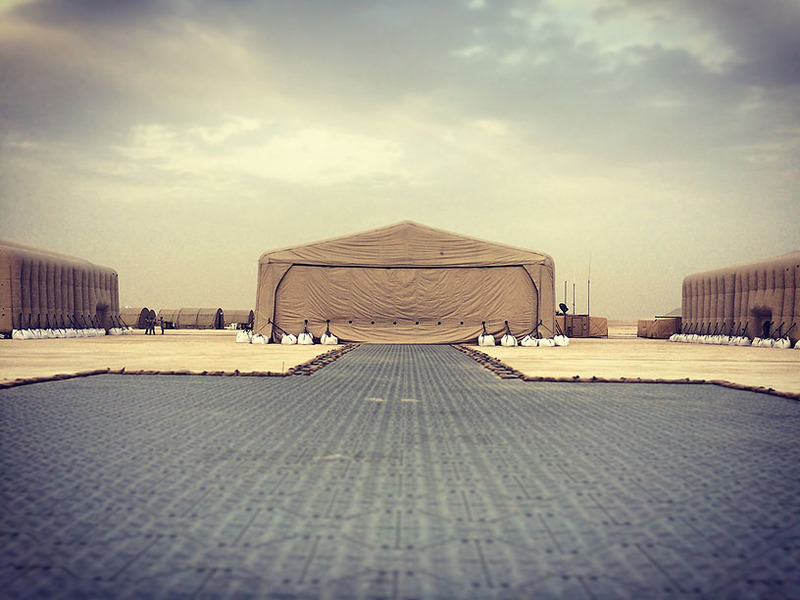 Weatherhaven delivered a turnkey rapidly deployable 60 person military helicopter camp that included hangars, fuelling, accommodation, dining, wash, operations planning, and workshop. 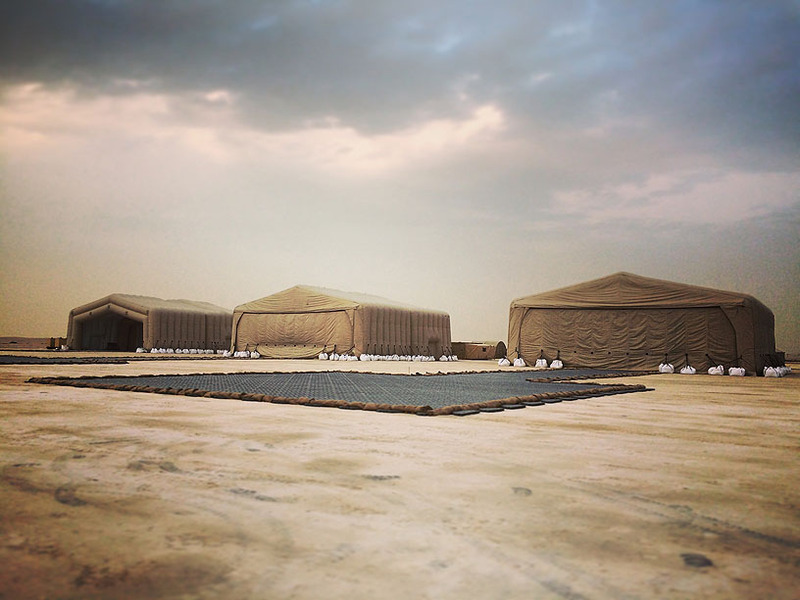 The key requirement of the camp being to rapidly support the forward deployment and operation of the client’s Augusta Westand helicopter fleet for remote missions, often in extremely hot, sandy environments. 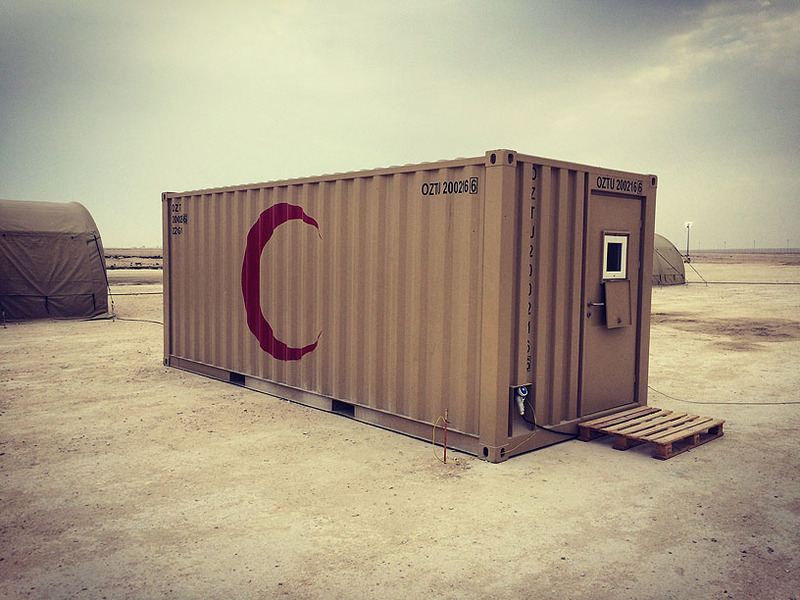 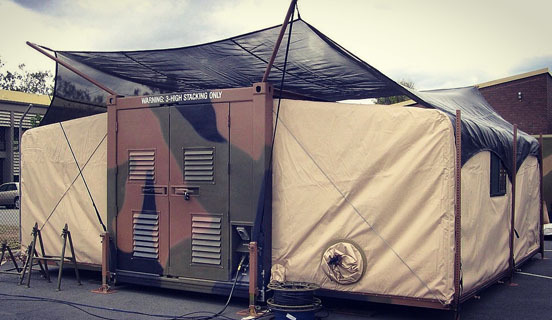 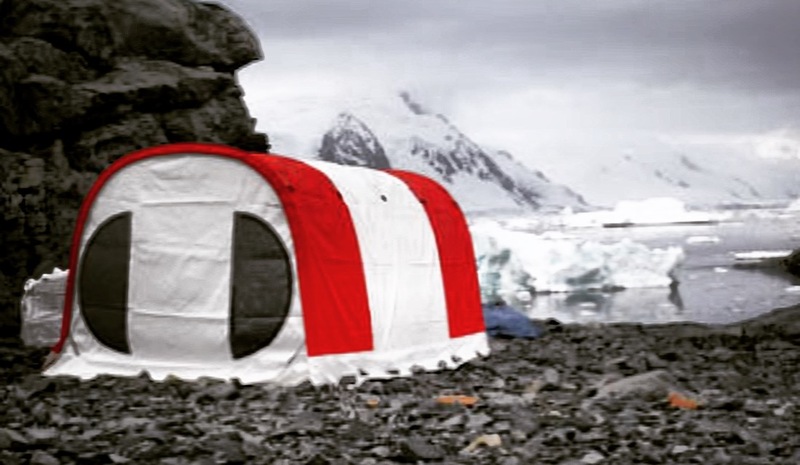 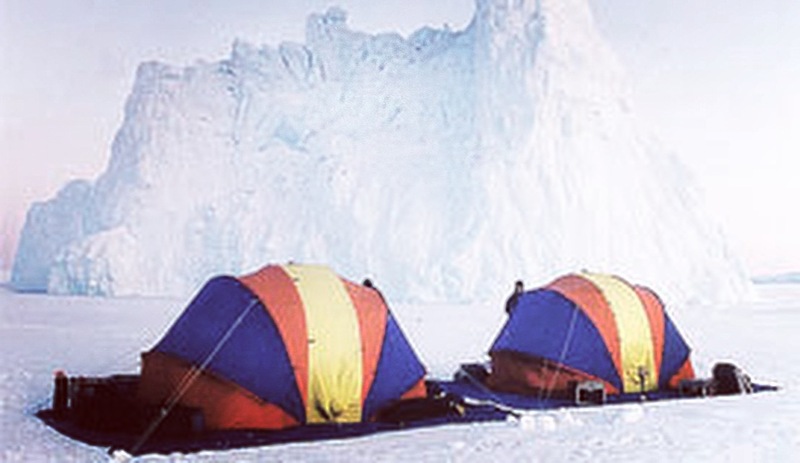 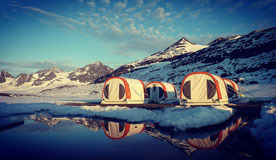 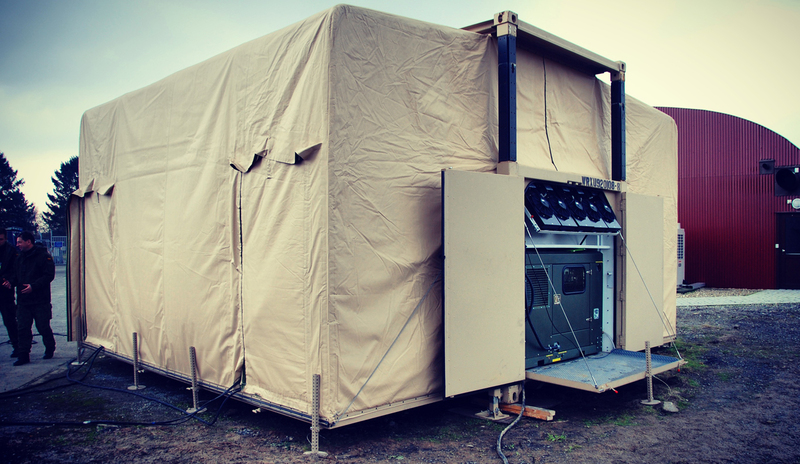 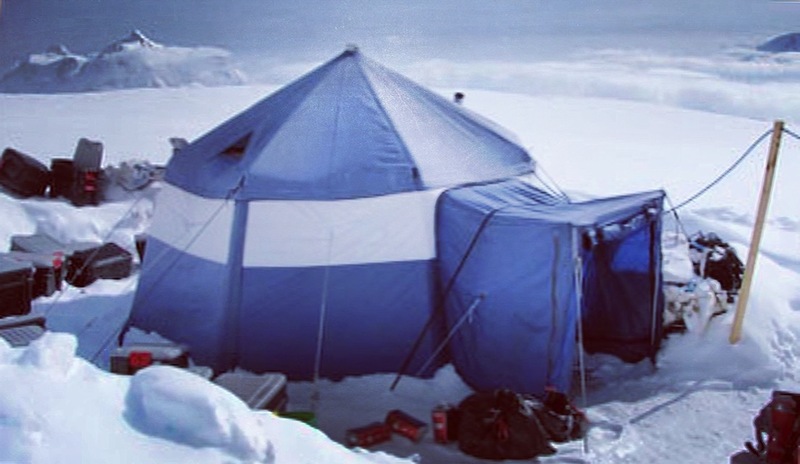 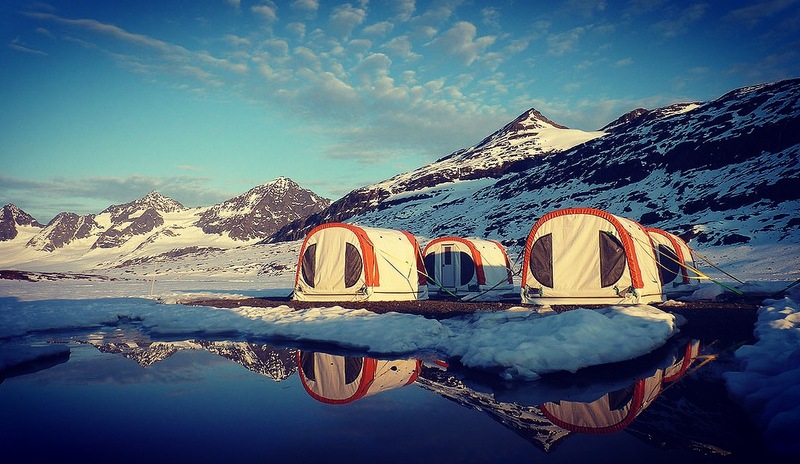 The camp was designed to be fully scalable allowing operation of a single or multiple helicopter deployment by utilising a flexible, modular approach to the supporting equipment and infrastructure. 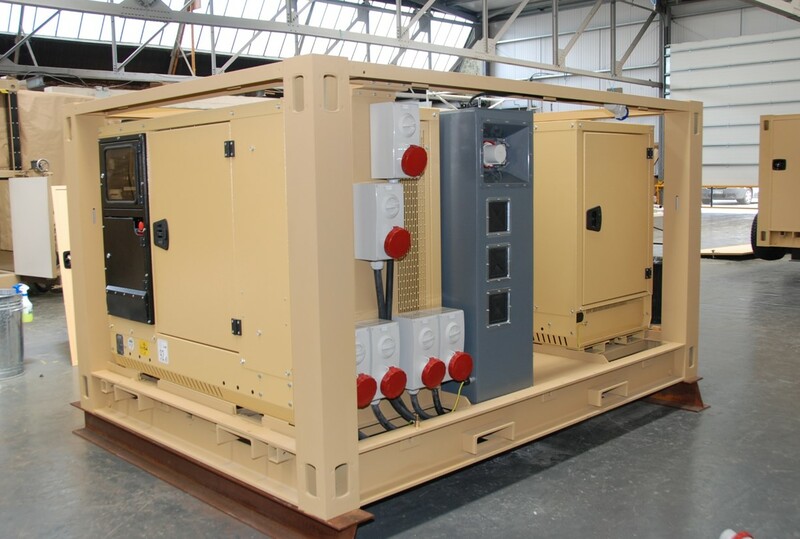 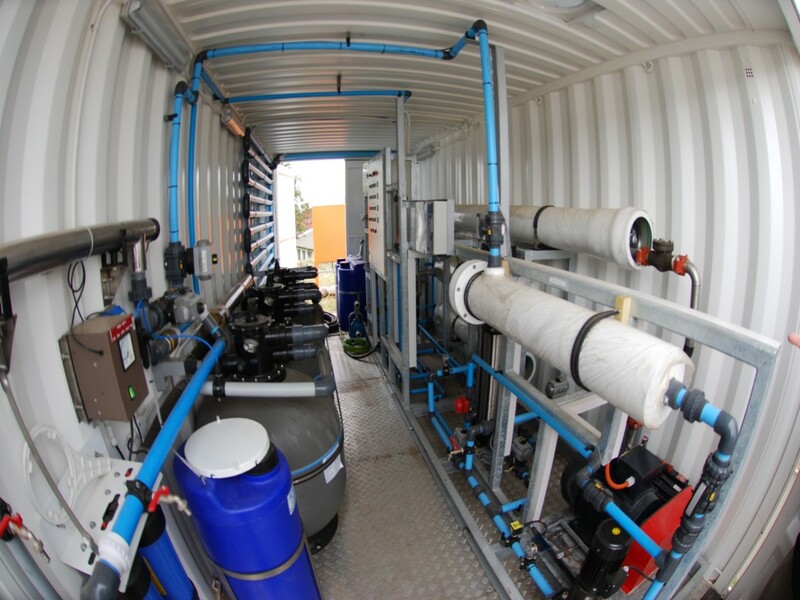 A full 60 person deployment can be installed and operational within a few days. 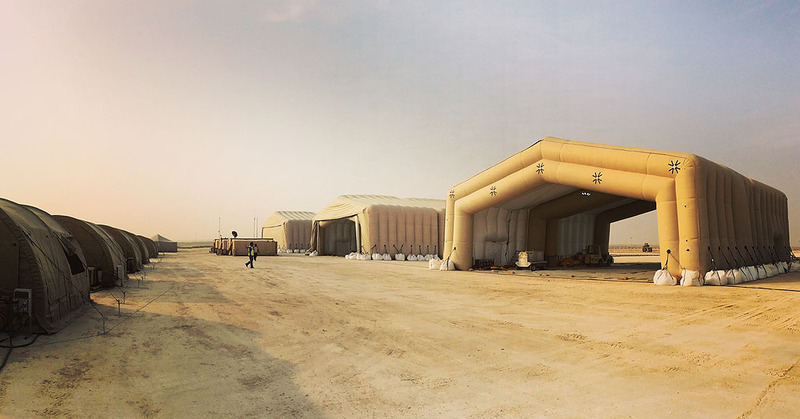 The critical but central rapid deployment element of the camp are the inflatable hangars, composite dispersals and aircraft refuelling equipment. 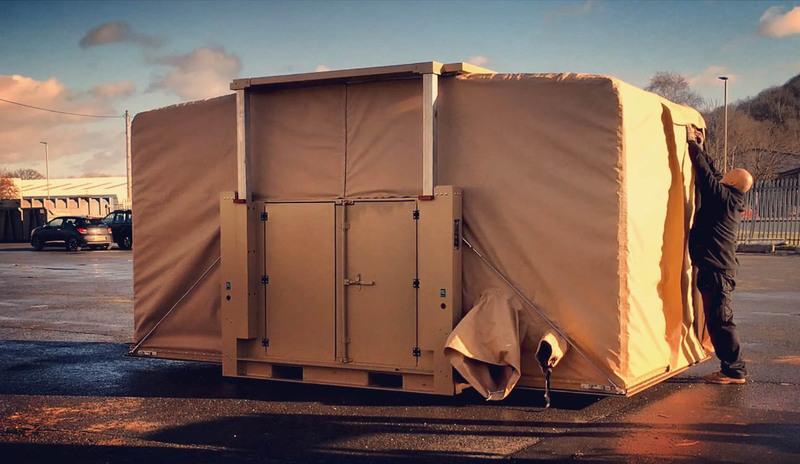 The use of inflatable technology for the hangars provides for a very rapid deployment capability in which to provide protection for the helicopters from the elements when not in use and for first line maintenance operations. 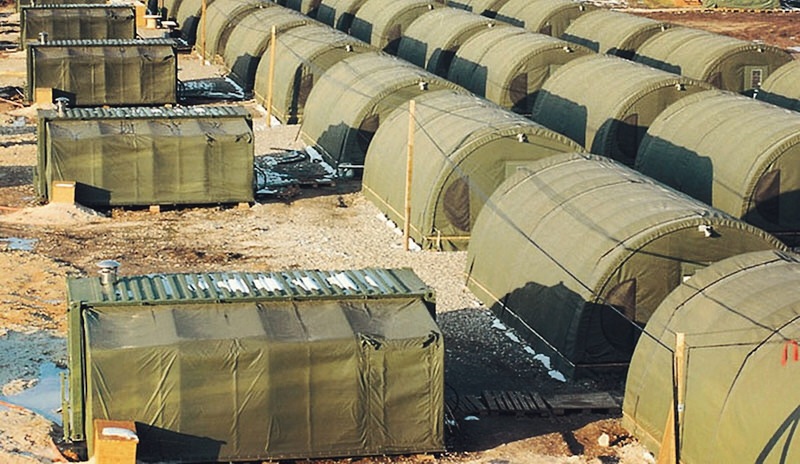 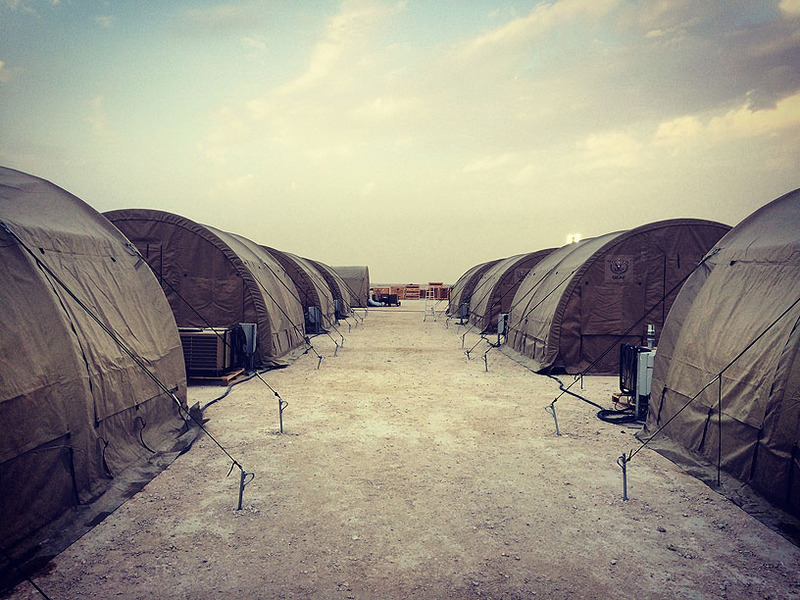 The remainder of the camp includes all of the equipment and camp infrastructure required to support both the helicopter operations and personnel, including a MECC kitchen facility and operations rooms, soft-shells for accommodation and dining shelters and nonexpanding container based ablutions and medical facilities. 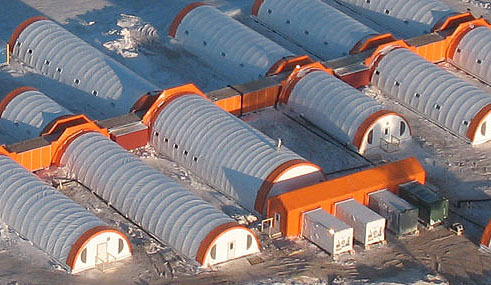 All three inflatable aircraft hangars with certified aircraft landing pad and taxiway in the foreground. 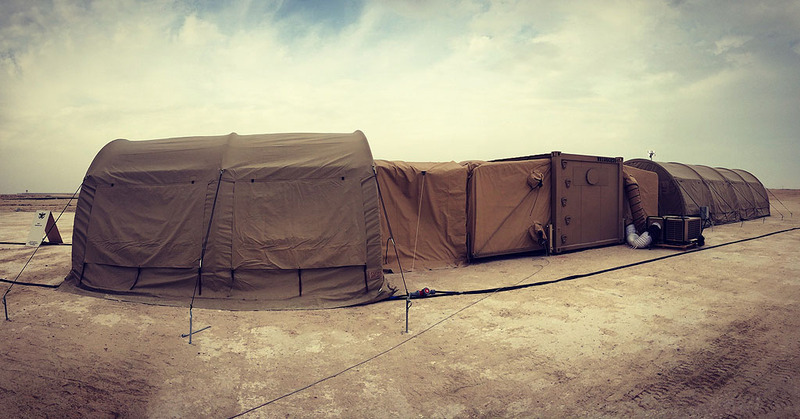 Three MECC expandable containers deployed as flight planning room, Command Post, and general office. 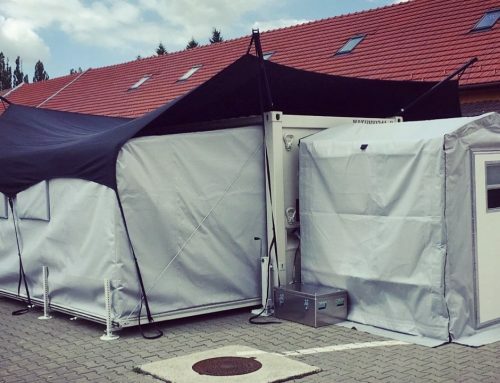 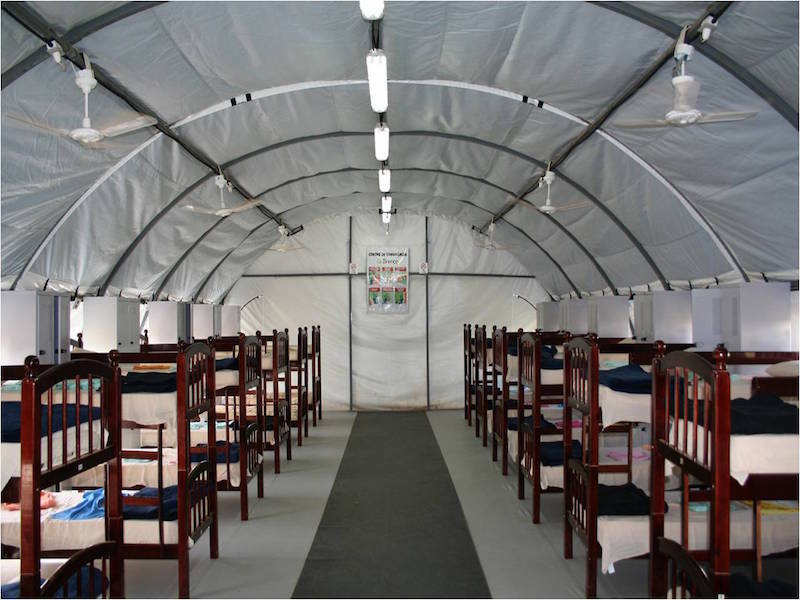 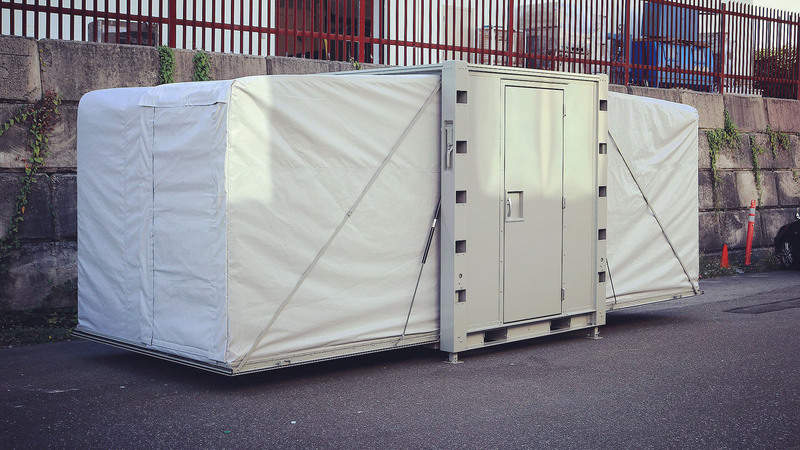 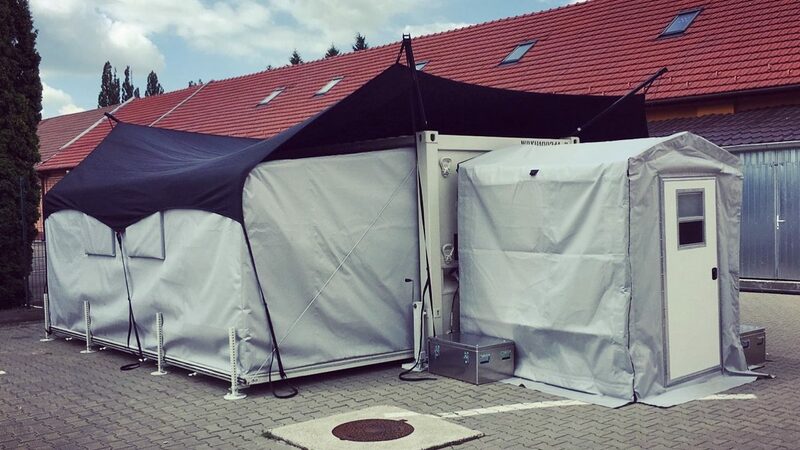 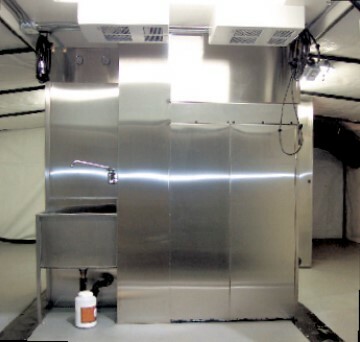 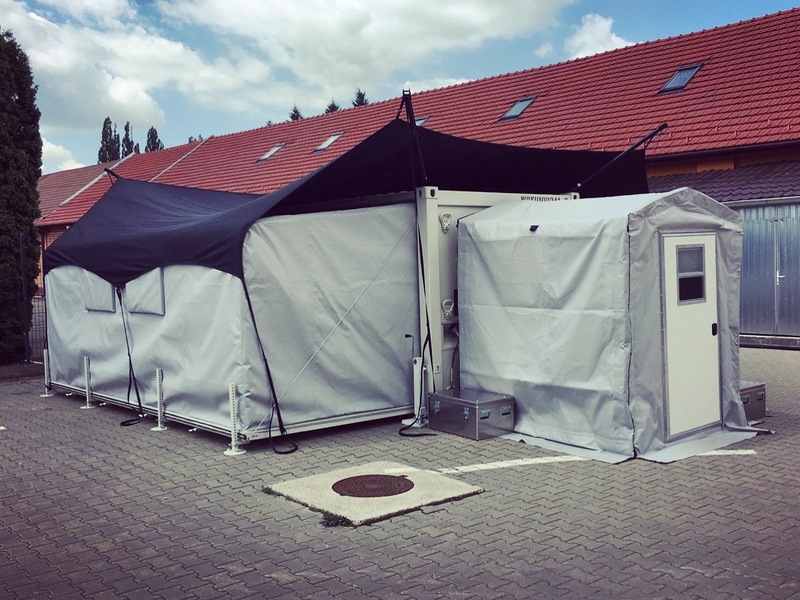 16′ x 16′ Series 4 Military shelters providing accommodation for 60 personnel. 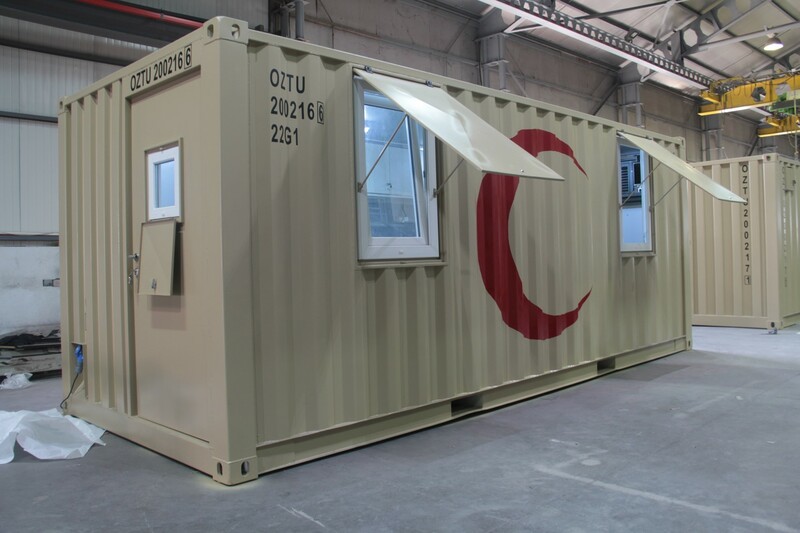 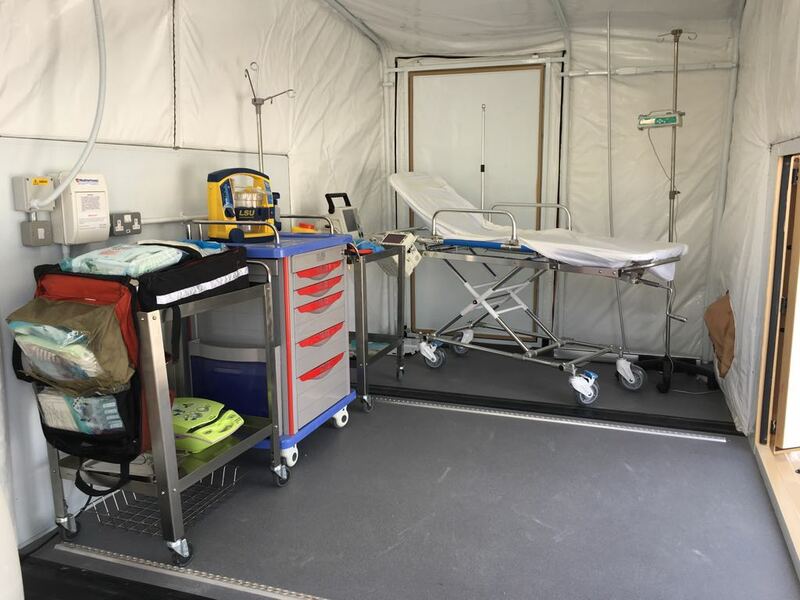 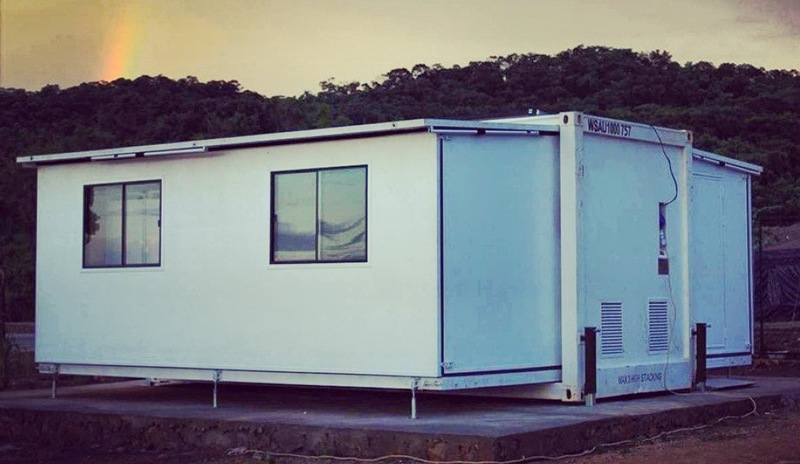 20′ ISO container medical centre and triage room. 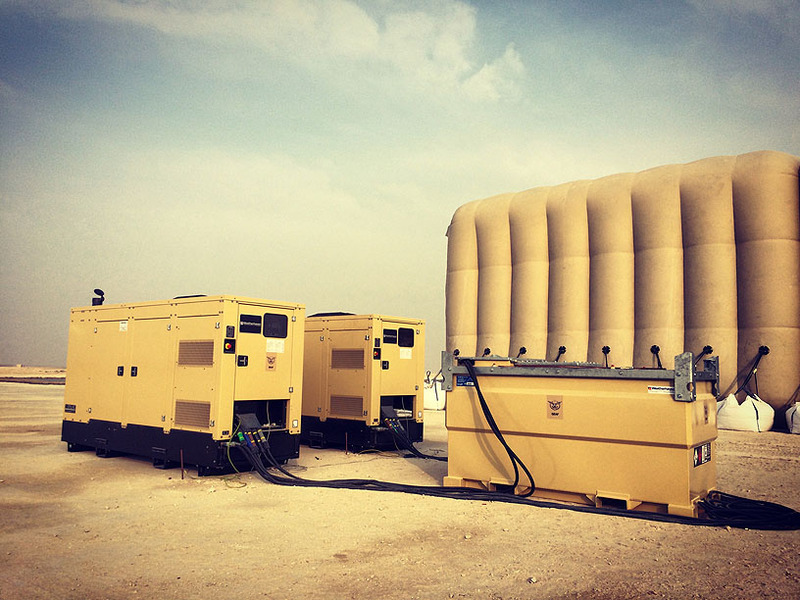 two of four synchronised generators with air cleared fuel storage tanks proving 100% camp redundancy. 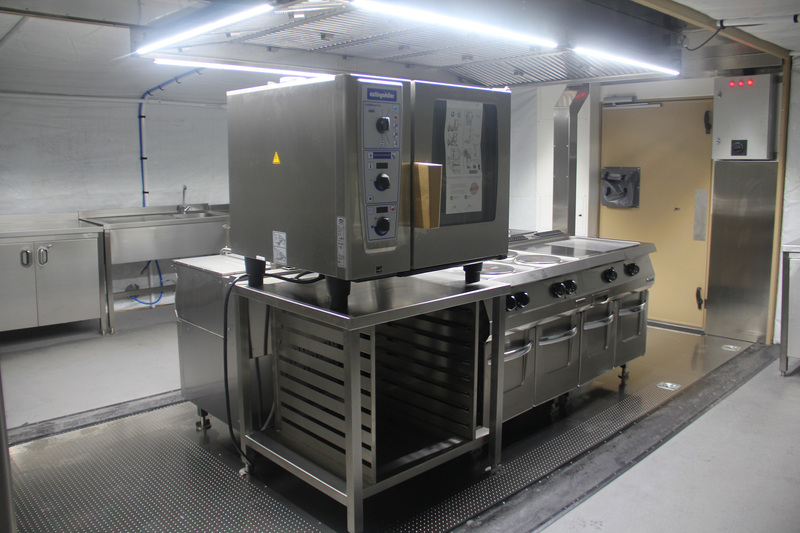 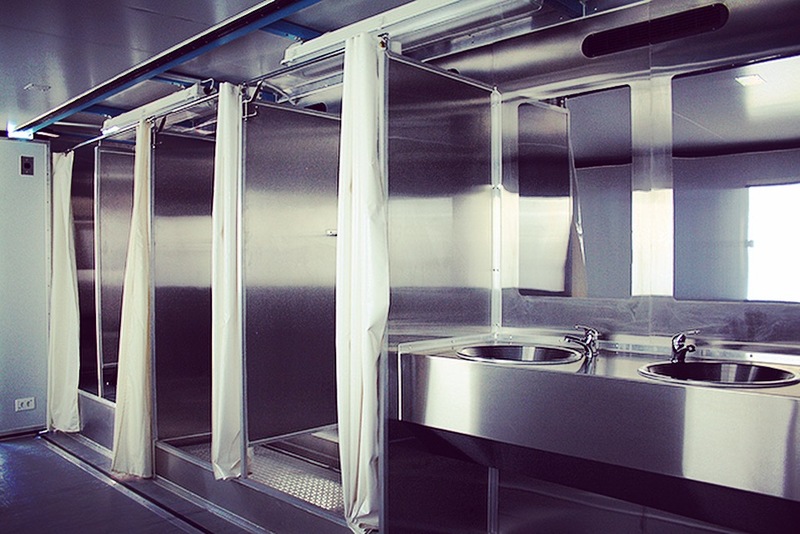 MECC and Series 4 based kitchen, food preparation, and dining facilities for 60 soldiers and flight crew. 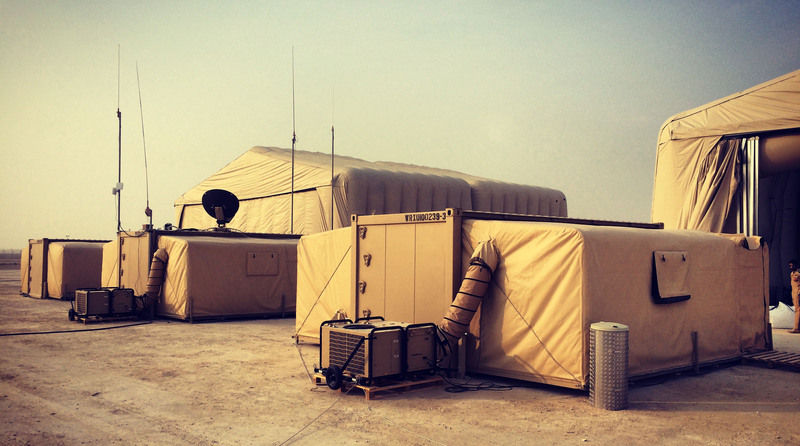 Contact us for further information on the Rapidly Deployable Military Helicopter Camp project.